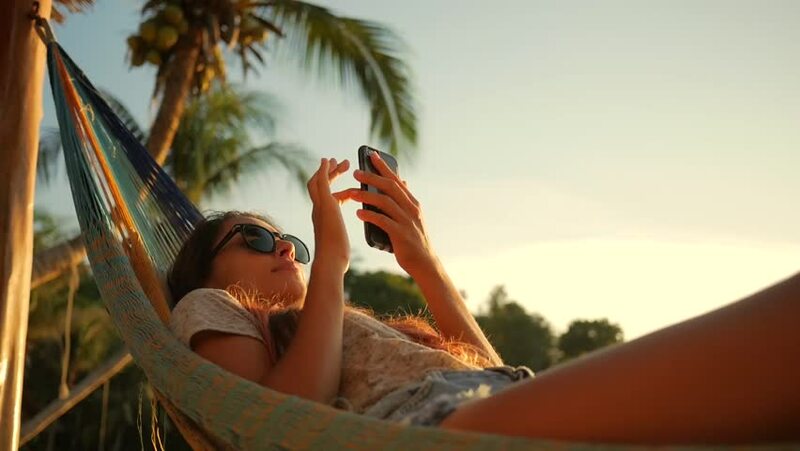 Relaxed Mixed Race Young Woman Looking at Mobile Phone in Hammock at the Beach near the Sea at Sunset. Koh Phangan, Thailand. HD Slowmotion.